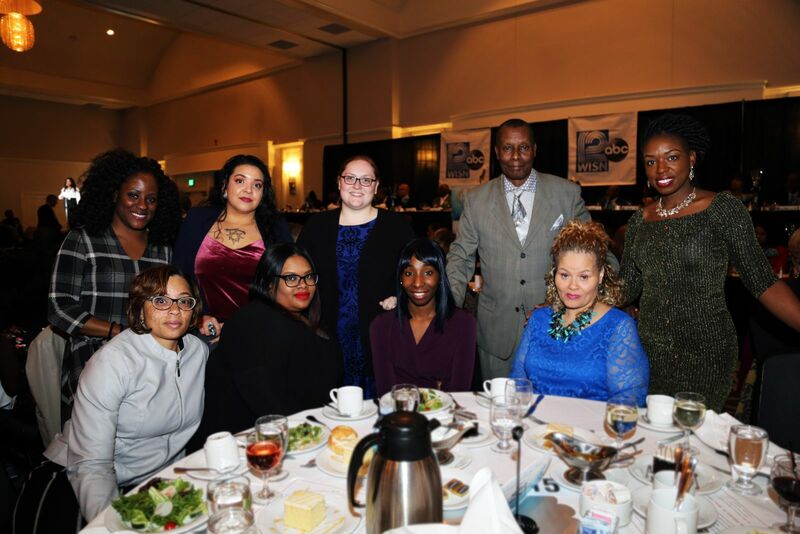 Black Excellence Awards Focus on Milwaukee Entrepreneurs | Hupy and Abraham, S.C.
On Friday, February 15, 2019, the Milwaukee Times held the 34th Annual Black Excellence Awards at the Italian Community Center. Each year, the historical periodical presents this event that focuses solely on the good that is being performed locally and honoring them when their efforts might otherwise go unnoticed. Sheldon Dutes and Adrienne Pedersen of WISN 12 News hosted the event, which also included a keynote speech by Steven Weddle. As a high-ranked executive at J.P. Morgan, Weddle covered his life experiences, and outlined the values he found imperative for success. At the beginning of the program, local government officials gave remarks emphasizing the importance that the Black Excellence Awards has on the community, including Milwaukee Mayor Tom Barrett, County Executive Chris Abele and newly elected Lieutenant Governor Mandela Barnes. Since 1985, hundreds have been acknowledged for their work in the community. The 2019 theme was “The Excellence of Imagination Boldness and Innovation: Honoring Our Entrepreneurs.” This special focus set an extra spotlight on Milwaukee’s Urban Entrepreneurs. Additionally, the Black Excellence Awards provides educational support to remarkable students through the Louvenia Johnson Scholarship Fund. The Scholarship is named after Mrs. Louvenia Johnson, one of the original founders of the Milwaukee Times. Ten student recipients were announced at the event, with an additional student receiving the Dr. Lester Carter Jr. Scholarship. Hupy and Abraham has invested many years of support to the Milwaukee Times Newspaper and the Black Excellence Awards. As the firm’s roots can be traced back to activist Attorney Lloyd Barbee, Hupy and Abraham strives to honor his memory however it can.